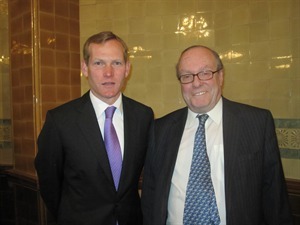 Jeremy Browne MP, Minister of State at the Foreign and Commonwealth Office, gave our April lecture, entitled ‘British Competitiveness: Responding To The Rise Of The Emerging Powers’. In a wide-ranging, detailed and highly informative keynote speech, Jeremy Browne described the transformations taking place in the world with the rise of the emerging powers and he warned of the UK’s need to change too‘if we are not to be left behind’. To listen to his speech, click here.